I'm not hugely into style. I'll rephrase that. I don't care about style. I prefer function. I've owned many bicycles in my time, certainly more than 30, but I've never bought hugely expensive stylish bikes for the sake of style. On the other hand, I'm keen on function. I've bought all sorts of cycling clothes, all types of shoes, all kinds of gloves and of course all kinds of bags. When I started serious cycling first, about 30 years ago, it wasn't long before I realised the usefulness of a bag. Now the chaps I cycled with at the time were mostly bike racers or triathletes and they used to carry stuff in their back pockets, as required, but I found, especially in winter, that this approach was a bit limiting. I used to use a bike with mudguards in the winter and a carrier, or a rack as people say in Amerukun. It soon enough occurred to me that carrying a bag with a bit of spare capacity was very useful in that not only could you carry spare clothing, but more importantly, if it got unexpectedly hot you could "peel off the half-coat" and cool down, while your pals were dripping sweat like dodgy dynamite and turning their blood into black pudding. You could also carry extra nosh, more spares, a camera or even a camel if you wanted to have a surprise Arab feast for your friends while you were out. So, I started to buy such bags. I had one made by Agu which was a carrier-top bag. It was okay but like all such bags it faded with time. Then I had a couple of Carradice bags made of Cotton Duck. These don't fade. I've one made by Altura at the moment, a bad design, a Carradice Carrier-top bag, two Carradice saddlebags and of course Ortlieb panniers and all of that. A former cycling friend of mine, Christy O'Driscoll who's a bit of a character indirectly christened the first bag by saying "I often went to Torremolinos with less". On another occasion Santa Ponza was alluded to, so my bags since then have been referred to in this irreverential manner. I can remember one occasion about 15 years ago we did a 100 miler and the lads ran out of gas. They began to look longingly at the Torremolinos bag like small boys at a sweet factory. Eventually I said.. "oh, lads, would you like something to eat?" Lots of gulping and shame that they would have to eat from this shameful bag, but by and by, they all got winter bags. Torremolinos reigns supreme in the Irish winter. Posted by Garry on April 4th, 2011. You're the bag man Garry! I just use a small a rucksack and have done for years. It's partly for the camera (I don't want it bouncing around on the bike) and partly because it's lighter. We only use proper bike bags when we go touring. One other thing... the rucksack with spare clothes inside might give protection in a crash. It feels a bit strange if I go out without it, which I sometimes do in summer with the camera round my shoulder. Oh – one thing more: if I need to lock the bike somewhere, there are no fixed bags to worry about. I want to delve into your bag experience. Just which bag is the best for the sort of riding you describe? 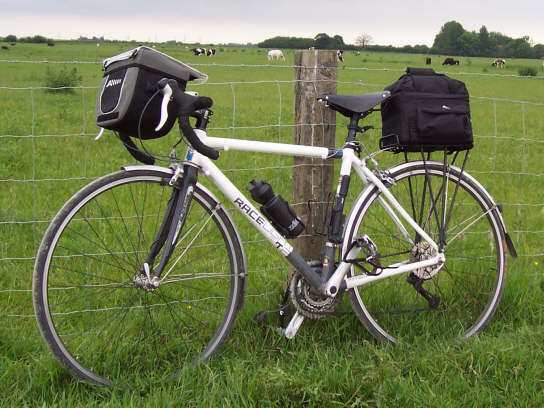 – Carrier top or pannier? – Carradice or some other? I'm a minimalist, only taking what I need for the ride. I have four different seat-packs of different sizes! Obviously, when I go away with my trailer, I take everything I'll need plus even more! 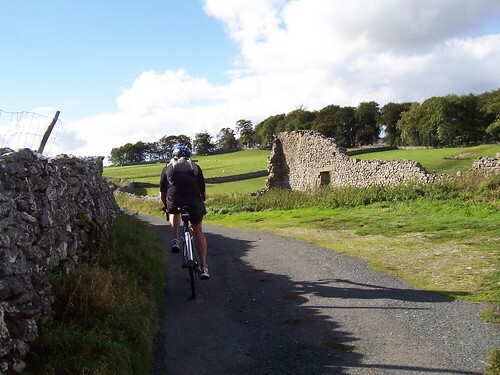 The bridge was fine, of course, but I was worried by the idea that I would have to find another way round – nearest bridge would be at least 10 hilly miles extra. The thing was, I was starving hungry! I wasn't "bonking" but not far off and as I was only 5mins from home, I'd be ok, but had the bridge been closed, I could not have done the extra distance. Therefore, when speaking about this with Hilary, she said I was stupid for not being prepared, and that I should always take a cereal bar or choccy biscuit with me. She's right of course, because even if my nightmare was a stupid thought, you never know what may happen. I don't like carrying too much weight although I always carry a couple of pounds of fat around my waist in case I get stuck on an ice floe and have to wait for the helicopter. I think carradice bags [of which I have 4] are too heavy. I have just bougt a good quality 40 litre waterproof stuffbag from Sportsdirect sale for £7. This and a bunji on my rack will probably carry all my gear on my forthcoming Danube B&B tour and weigh less than 200g. 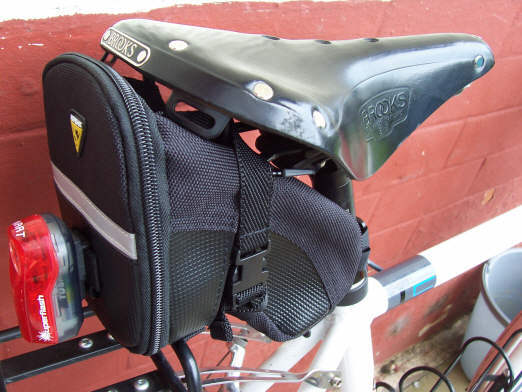 Everyday stuff can be catered for by a simple cheap handlebar bag that will be secured by velcro straps. The more expensive handlebar clickfit connectors are unecessarily heavy. I like the look of my blue Carradice saddle bag but to be honest the racktop bag on my other bike is a lot more convenient for taking things in and out and doesn't have the same tendency to sag at the corners. However my super-duper Tubus rack altho solid as a rock and great for panniers is too narrow on top to support a rack bag properly. I never venture out without a good supply of emergency food altho I doubt if I'm ever more than 5 miles from a shop or cafe on the Isle of Wight! (I used to live in Scotland and old habits die hard!). Yes it's a 2 week tour in May. I'm looking forward to it. We've got spare place by the way. I guffawed at the ice-floe comment!! My bags are all packed for my trip on Saturday. I have lent Tina our Carradice Super C panniers sadly Albert's Super C top box bag didnt fit her bike rack, but the panniers did. I am using foreign bags purchased prior to my experiences with Carradice. I also LOL at Jim's ice-flo explanation! Look forward to reading about your trip Jim. Similar to my kit, Garry. I hate anything on my back – even in the rear pockets. 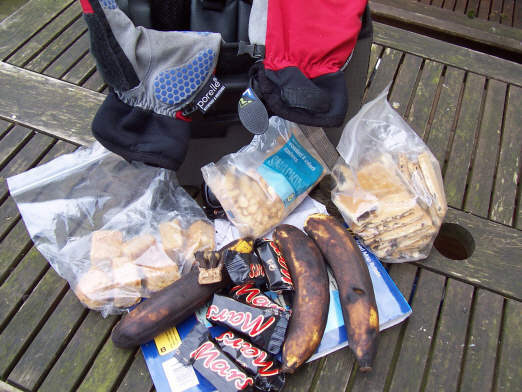 Sunday leftovers: unopened cashews, fig rolls, garibaldis, flapjacks, bananas (slightly bruised) and most of my fun-sized Mars bars. Well done Chris! 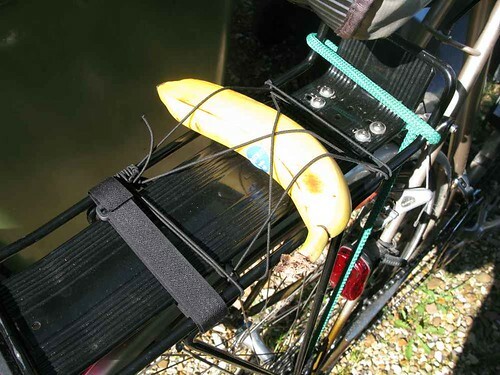 The smart new lightweight wedge will hold a bunch of bananas. Oh no, Patrick. The grub will still go in the bar bag, but I'll transfer some things in to it from the rack bag. Mike Harris, a friend of mine once had a couple of bananas and a mobile phone in his back pocket. The bananas semi-liquified, flowed into the innards of his mobile, short-circuited it and killed it. He had to buy a new one. I managed to get a stove in one of those Topeak wedge bags! If you did you'd need an obstetric forceps to get it out!